This chanterelle mushroom recipe was created after a trip to the Farmers’ Market. All the veggies looked sooooo yummy that I wanted to make use of them! The sweetness of the sungold tomatoes combined with the smoky/ woody flavor of the chanterelle mushrooms was absolutely divine! I can’t wait to make this chanterelle mushroom recipe again. If you come up with some other yummy variations of this recipe, please share as a comment. We’d love to try them! 1. To make this a gluten-free recipe, try using quinoa pasta or rice pasta. 2. For non-wheat options (these contain gluten, but not made from traditional wheat), try einkorn pasta, spelt pasta, or kamut pasta. 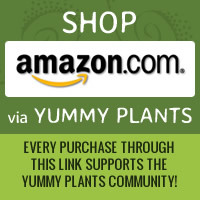 I recently found a kamut/ quinoa blend pasta as well. All of these options are delicious! 3. To make it more colorful, I chose sungold tomatoes, and purple tomatoes, but you could also use regular red cherry tomatoes instead. 1. Prepare desired pasta according to the package instructions. While pasta is cooking, prepare the vegetables. 2. Add olive oil or vegan butter to pan. Add shallots with a dash of salt and pepper. Cook for 2 minutes over a medium flame. Then add chanterelle mushrooms. 3. Cook for approximately 3-4 minutes, or until the chanterelle mushrooms become golden brown on the edges. Remove from heat. 4. For appearance, plate each dish separately. Put desired amount of pasta in bowl, spoon chanterelle shallot mixture on top, place the cherry tomato quarters around the edges of the bowl. Garnish with parsley and serve hot. 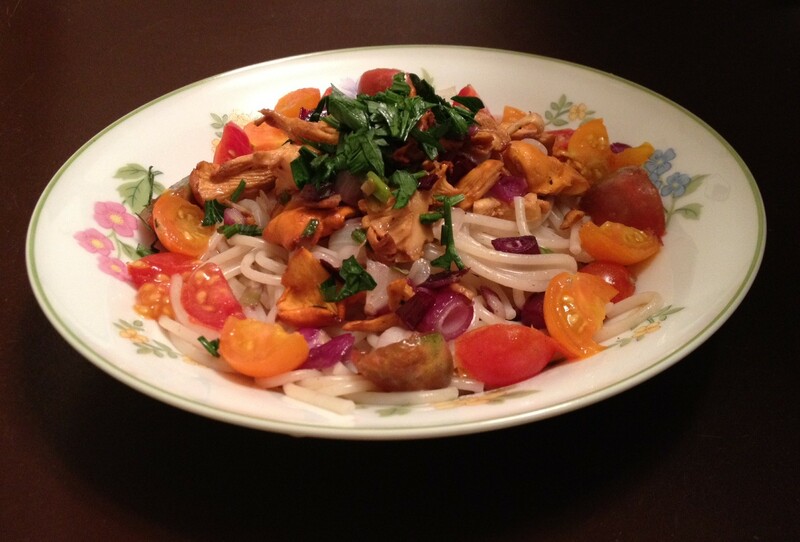 Let us know what you think of this easy vegan recipe: Chanterelle Mushroom Pasta!